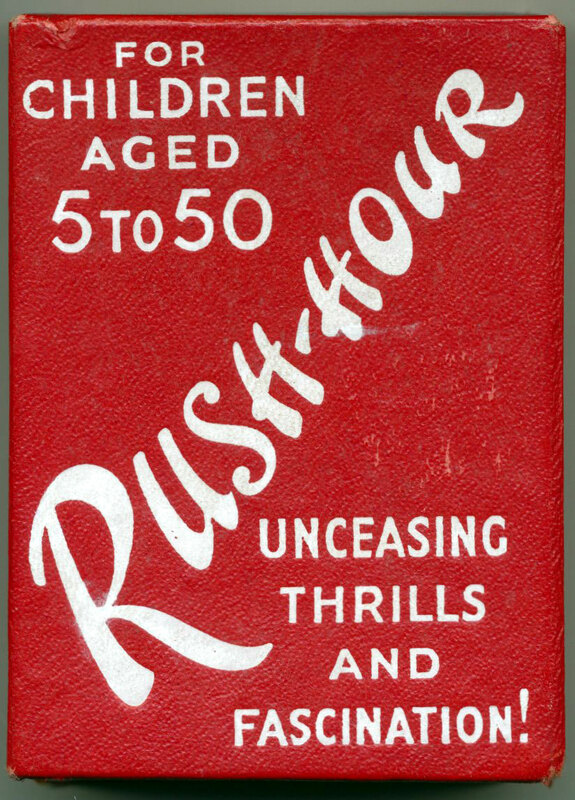 Rush Hour card game depicting different modes of transport published by Universal Publications Ltd, London, c.1935. 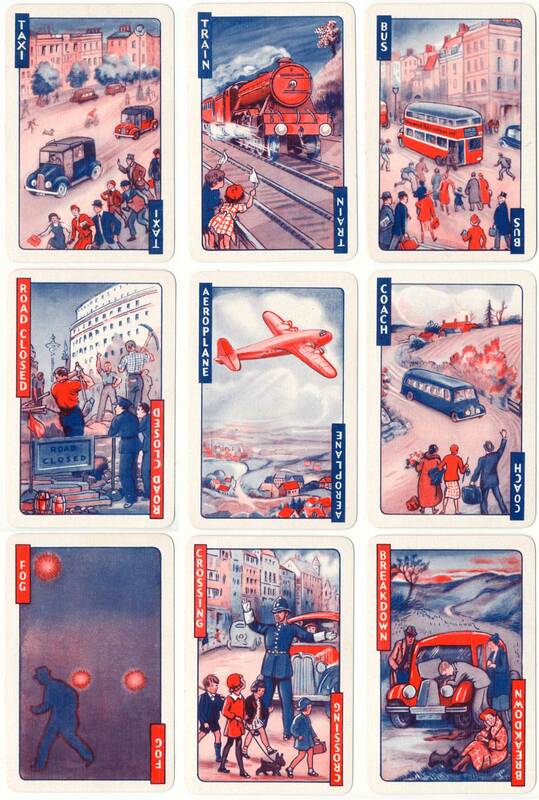 52 cards, printed in red & blue. 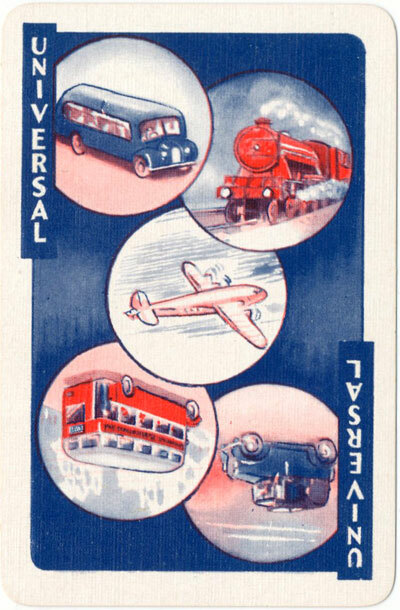 Above: “Rush Hour” card game by Universal Publications Ltd, London, c.1935. 52 cards in slip case. 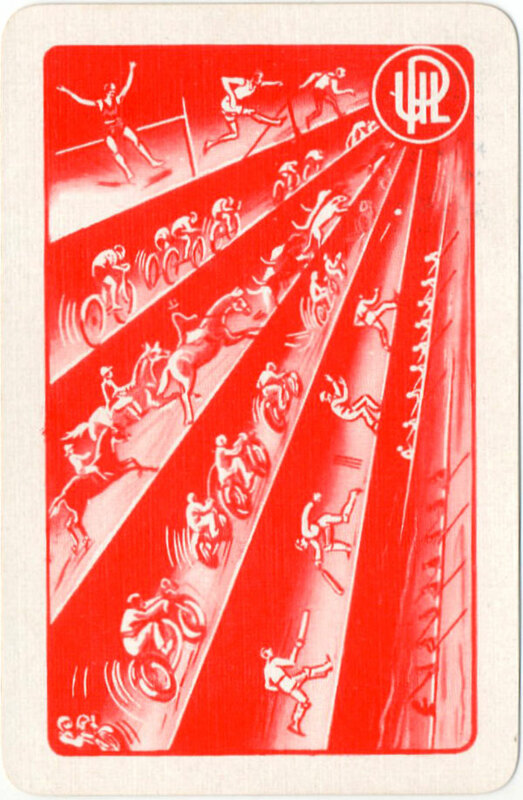 The rules card gives the company address at 3 Fann Street, Aldersgate, London E.C.1. 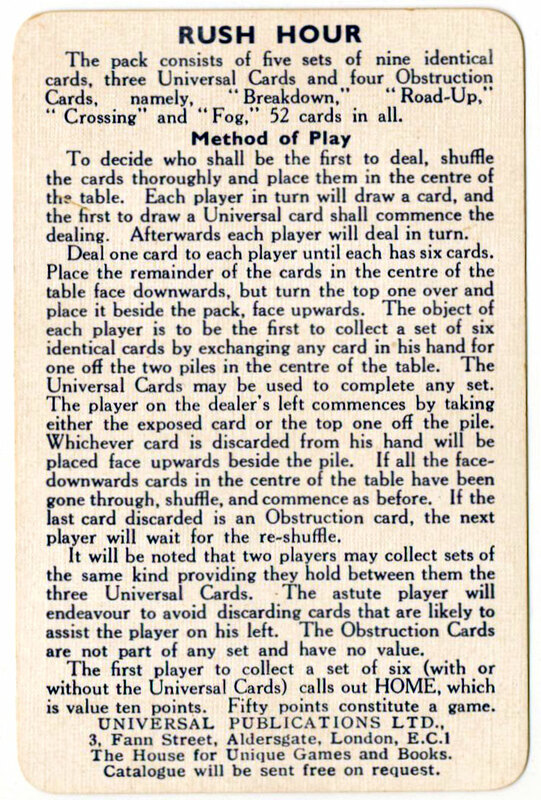 The 1941 company catalogue gives the address as 9 Inverness Place with the footnote "Formerly at 3, Fann St. EC1" strongly suggesting that this card game was produced prior to the publication of the 1941 catalogue. Strangely the 1941 catalogue makes no mention of this game, though it does say some games were destroyed by "enemy action". Images courtesy Matt Probert.